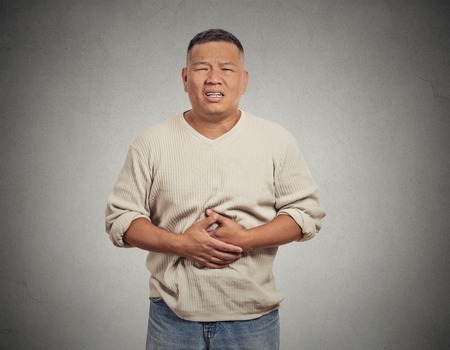 Viberzi, a medication used to treat adults with IBS-D (irritable bowel syndrome with diarrhea), has been associated with severe cases of pancreatitis and deaths in patients without a gallbladder. Filing a Viberzi lawsuit may be an option for individuals who were seriously injured while taking this medication. The nationwide law firm of Bernstein Liebhard LLP is investigating injury and wrongful death claims on behalf of Viberzi patients who developed a severe case of pancreatitis while using this medication. If your are interested in filing a Viberzi lawsuit on behalf of yourself or a loved one, please call (888) 994-5118 to contact a member of our legal team today. Viberzi (eluxadoline) is approved for use in adults with IBS-D. It works by activating opioid receptors in the gut to decrease bowel contractions, leading to less diarrhea. Viberzi is listed as a controlled substance, and can be abused or lead to drug dependence. Approximately 34,000 patients received a Viberzi prescription in the U.S. between its May 2015 approval and July 2016. Some 64,000 Viberzi prescriptions were dispensed during that time. Viberzi and Pancreatitis: What’s the Problem? In March 2017, the U.S. Food & Drug Administration (FDA) warned doctors not to prescribe Viberzi to patients without a gallbladder, after a review of its adverse event database suggested that these individuals were at risk for serious pancreatitis that could result in hospitalization or death. The FDA noted that pancreatitis related to Viberzi may be caused by spasm of a certain digestive system muscle in the small intestine (sphincter of Oddi spasm). From May 2015 through February 2017, the FDA’s database received reports of 120 serious cases of pancreatitis or death among patients treated with Viberzi. Pancreatitis or death occurred after one or two doses of Viberzi, while pancreatitis also occurred after prolonged use. Seventy-six patients required hospitalization, two of whom died. At least 56 cases of pancreatitis or death occurred in Viberzi patients who do not have a gallbladder. Most of these individuals were receiving the currently recommended dosage of Viberzi (75 mg) for patients without a gallbladder. Twenty-one cases reported that the patient did not abuse alcohol and 35 did not report the patient’s alcohol use status. One of the two Viberzi-related deaths involved a patient who developed pancreatitis, while another was associated with sphincter of Oddi spasm. Viberzi patients should stop taking the medication and seek emergency medical treatment if they experience new or worsening stomach or abdominal pain, or pain in the upper right side of the stomach or abdomen that may move to your back or shoulder. This pain may occur with nausea and vomiting. Patients and their families interested in filing a Viberzi lawsuit are urged to contact Bernstein Liebhard LLP today to obtain free, no-obligation review of their case. Simply complete the form on this page, or call our office directly at (888) 994-5118.